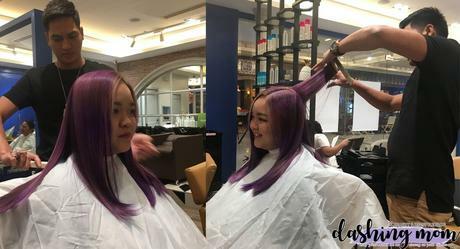 If you are my avid readers you know that I love coloring my hair and this hair coloring might damage the hair strands. It can be brittle and dry or something that it can be to stiff. 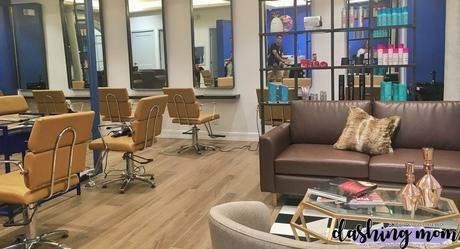 So I decided to try Vivere Salon's Keratin Treatment. Some information about Hair Keratin, our hair has a natural Keratin that makes up most of our hair. The properties of keratin are amazing in that they can refresh dryness and damage, but if your hair is naturally curly, there is nothing keratin proteins could do to change that. 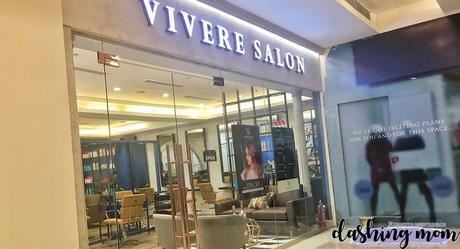 On the process at Vivere Salon, I signed up to their customer list and the Head stylist talk to me what am I going to avail while I'm seated at their elegant salon chair. Then Sir Jason assisted me and wash my hair to remove excess oil and dirt. Their washing chair is comfortable to the neck and so soft. The shampoo they use also smells good. The first wash is about removing the dirt of the hair, second wash is about penetrating the roots of the hair to also cleanse it. They used the shampoo made especially for Hair Keratin Treatments Sir Jason leave the shampoo about 3 mins. They dry my hair with a blow dry and they proceed to Hair Keratin Balm application. My whole hair was then wrapped with a plastic to let the keratin balm absorbed by the hair and then left for 45 minutes. This is the time where I enjoy the most why? Because some of the salons offer a complimentary massage to ease off that waiting time. Mind me, Vivere Salon at Estancia mall especially sir Jason is so good at massaging. After 45 minutes, the next step was they blow dry my hair just a little bit to remove the excess water then they proceed to iron my hair. Sir Edison Guevarra was my Hairstylist, He makes sure that my hair gets its best. The whole process took around five hours to complete. Keratin Complex price starts at 5,500 pesos. Price depends on the length and volume of the hair to be treated. By the way, Sir Edison also cut my hair to give it a little life. He reminded me that my upon getting the keratin complex, hair should be wash 3 days after the treatment. I asked why he said that the whole process in a salon is just a start. The chemical that was put onto the hair penetrates deeply after 3 days of not washing the hair. So girls if you are thinking about getting a Keratin Complex, make sure to keep that in mind. Here is the recent photo of my hair. I can say that my hair straightened that I don't need to do ironing every single day. It is soft and manageable. Follow their social media accounts: Facebook : Vivere Salon To know and be updated if they are having promos.